Features: A host of features and tools that are incorporated in a mobile device determine its functionality. Users access them to perform their tasks. Hence, to ensure for a smooth user experience, you need to optimize these tools and features well. For this, you have to create a robust information architecture whose main job is to manage content and functionality in a logical order. The information architecture consists of navigation, links, search, titles, site structures, sitemaps, etc. Content: Users access content to get information. You can see that every website features content in different formats. Content can be formed of text, images or videos. For creating a fine user experience through a mobile app, you need to consider the role of multimedia elements. Multimedia can be best utilized to entertain, distract or instruct users. Hence, it is important that media and images are properly optimized. Another thing is the design. Choose portrait or landscape designs to represent content as these look attractive and well organized. User Data: You need to have a powerful input mechanism in place for user data. Since you are building application for a personal device such as mobile (in this case), you can afford to save inputs like user ID and email address. At the same time, consider spell-check and auto-completion options to reduce the chances for errors. Context: Mobile phones can be used everywhere and at all times. And, the circumstance or environment where it is being used can be referred to as mobile context. The role of context, however, can also be extended to incorporate the use of interface by a user. For instance, location is an element which informs you about the mobile user’s location. With the help of this, you can showcase offers and content holding relevance to the place where the user is present. Another thing that can be addressed in the case of Context is usability. You have to specifically communicate through your component whether a user needs to tap, swipe or select something on his or her mobile phone (in this case, it’s a touch screen phone). Promotion: You need to promote your app in the market to attract customers. For this, you will have to come up with a good marketing strategy for print media, billboards or ads. If you wish, you can also run email campaigns to create awareness among your customers. Nowadays, social networking sites are widely used for promoting products and services. You can also choose any of the popular platforms to market your app. To get more customers, you can design special offers for them so that they use and download your apps. In order to create a fine user experience in the field of mobile apps, you have to ensure continuous improvement and development. The above mentioned elements are just the basic guidelines to help you get started with your dream project. Mini Belwal works with PixelCrayons, an IT consultancy company. PixelCrayons helps its partners meet their long-term goals, not just the short-term ones. With services such as eCommerce and CMS development, mobile app development, the company aims at giving true value to the investment of its clients. 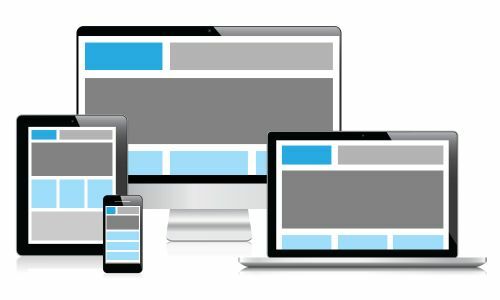 You may get in touch with PixelCrayons if you are planning to hire mobile developers for your web project.